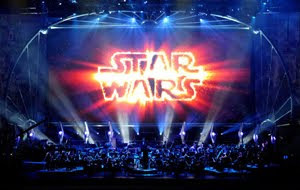 WSBE Rhode Island PBS is proud to present the new documentary, The Making of STAR WARS: IN CONCERT tonight, November 2 at 9:15 P.M., and re-broadcast on Saturday, November 7 at 8:15 P.M. The documentary takes a behind-the-scenes look at the elaborate staging of the critically-acclaimed "Star Wars: In Concert." A unique performance experience, "Star Wars: In Concert" fuses great cinematic moments from the epic Star Wars film series by George Lucas, and the powerful, Oscar-winning film scores composed for the films by John Williams. The event is coming to the Dunkin Donuts Center on Wednesday, November 11. Premium seats for the event will be available to viewers who make a pledge donation during the live broadcast on November 2, or the rebroadcast on November 7. In addition to prime arena seating, the premium ticket package includes private, pre-show admission to the Star Wars museum exhibit that travels with the musical show, and includes movie props, models, and costumes. Premium tickets also include meet & greet and photo opportunities with the 501st Legion / New England Garrison, each member in authentic regalia. Members of the 501st who will appear in the studio are from Rhode Island and nearby Massachusetts. 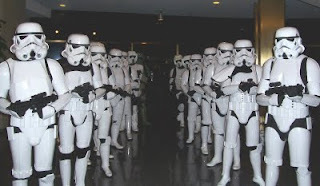 For photos and information about the 501st, visit www.501neg.com.